Astrophysicist Jeremy Darling of the University of Colorado Boulder came to this conclusion after employing a research strategy known as “real-time cosmology,” which seeks out the tiny changes in the universe that occur over human timescales. “Real-time cosmology offers new ways to observe the universe, including some observations and cosmological tests that cannot be made any other way,” Darling told Space.com via email. Researchers discovered in 1998 that the universe is expanding at an accelerating rate — a surprising phenomenon believed to be due to a mysterious force called dark energy. Scientists don’t know much about dark energy, except that it may be a property of the vacuum. In a bid to understand dark energy, researchers are making a wide array of cosmological tests and building new telescopes and instruments. “This work asks whether the expansion today — that is dominated by dark energy — is the same in all directions,” Darling said. “The constraints will get better with forthcoming data from the Gaia mission,” said Loeb, who was not involved in the study. via Universe Expanding Symmetrically, Real-Time Analysis Shows | Space.com. US military’s mysterious X-37B space plane passes 500 days in orbit, but what is its mission objective? For just over 500 days, the US Air Force’s mysterious X-37B OTV-3 robotic space plane has been casually orbiting the Earth. X-37B looks like the Space Shuttle, and launches into space on the back of a rocket like the Shuttle, but it’s actually fairly small at just under nine meters (30 feet) in length. What’s truly weird, though, is that I’ve now told you everything that we officially know about the X-37B — its payload, current mission, and combat capabilities are completely unknown. X-37B OTV-3, one of the world’s largest artificial satellites, has been up there for 500 days, shows no sign of coming down any time soon, and we have no idea what it’s doing or what it can do. The X-37 started life way back in 1999 when NASA asked Boeing’s Phantom Works division to develop an orbital test vehicle (OTV). The X-37 was originally conceived as an unmanned, robotic spacecraft that would rendezvous with satellites to refuel or repair them — but in 2004 the project was transferred to DARPA and it has been highly classified ever since. Starting in 2010, the US Air Force has launched two X-37B spacecraft on three missions (OTV-1, OTV-2, and OTV-3), perched atop an Atlas V rocket. The photo above, of OTV-2′s landing in 2012, is one of only a handful of photos that are publicly available of the vehicle. All three missions have spent a long time in space (220+ days), with OTV-3 now having spent over 500 days in low-Earth orbit (LEO). via US military’s mysterious X-37B space plane passes 500 days in orbit, but we still have no clue what it’s actually doing up there | ExtremeTech. Look up on a starry night and consider this: in our lifetime we just might find the answers to one of life’s biggest mysteries, and we mean BIG. Dutch research institute, Astron and its international partners are building the world’s largest radio telescope, aka The Square Kilometer Array, to get a glimpse of the origins of the universe. 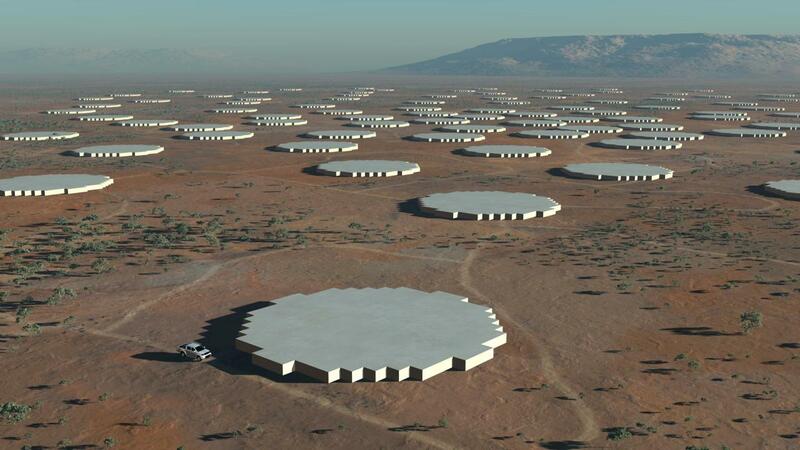 This big telescope is made up of thousands of interconnected smaller telescopes, carefully arranged in fractal patterns to let us look back in time more than 13 billion years—to mere seconds after the universe was created. How on Earth is this possible? By processing exabytes of Big Data (That’s a 1, plus 18 zeroes) in real time. Or roughly 3X the amount of data running through the Internet per day. Amazingly, this will let scientists map out how the universe came to be. Imagine the look on Galileo’s face if he were here to see it. via IBM Innovation Culture + Tumblr = IBMblr. Scientists at CERN’s Large Hadron Collider have discovered, with “overwhelming” certainty, the existence of a new class of subatomic particles, exotic hadrons. In related news, CERN has begun the painstaking process of turning the LHC back on after being switched off for upgrades over the last 12 months. When it returns, in early 2015, the LHC will have almost twice as much collision power, which will hopefully allow it to further investigate the Higgs boson, and probe the theory of supersymmetry. First, those exotic hadrons. In all honesty, I don’t really understand them myself, but I’ll try my best to explain them — and the significance of this discovery. Basically, at four points around the LHC’s 17-mile (27km) circumference, there are four major detectors. You’ve probably heard of ATLAS and CMS, which discovered the Higgs boson, but there’s also ALICE (which studies quark-gluon plasma), and LHCb (which studies the weird relationship between matter and antimatter). These detectors are all absolutely massive, weighing over 5,000 tonnes a piece. The exotic hadrons were found by LHCb (pictured top). The b stands for the beauty quarks (b quarks) that the LHCb is designed to detect. Hadrons, such as protons and neutrons, are made up of quarks. The Large Hadron Collider, as its name implies, collides protons together at very high energies, smashing them back into quarks. Historically there are only two types of hadron — baryons, which consist of three quarks, and mesons, which consist of two quarks. Now, LHCb is reporting that it’s discovered a third kind of hadron… the exotic hadron! via Large Hadron Collider discovers a new type of matter: Exotic hadrons | ExtremeTech. 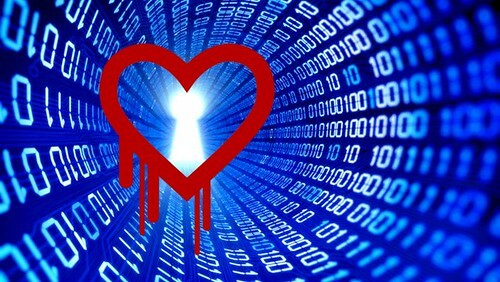 So the Internet has been exploding this week due to the Heartbleed Bug in OpenSSL which effects a LOT of servers and websites and is being hailed by some as the worst vulnerability in the history of the Internet thus far. The main info on the bug can be found at http://heartbleed.com/. In basic terms, it allows you to grab 64kb chunks of whatever is stored in RAM on the server as long as it’s using a vulnerable version of OpenSSL with Heartbeat enabled. Who needs the NSA when we have this eh? via Heartbleed Bug SSL Vulnerability – Everything You Need To Know – Darknet – The Darkside.